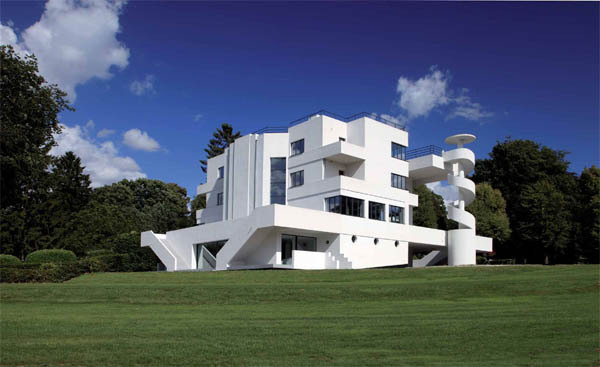 The renovation took two years to complete as Cambron wanted to make this jewel of modernism once again habitable, fully fitted and decorated for a new owner. Four bathrooms were added (there was only one bathroom in the original building! ), as well as an indoor swimming pool and an elevator. The 10,700 square-foot villa sits on a 5 acres lot, has 4,300 square feet of terrace.